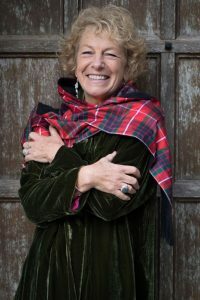 Experienced professional performer, Cooper Hall’s Creative Director, and Frome Festival Patron, Morag McLaren wraps up the festive season and welcomes in the New Year in true Scottish style with a new programme of material. Morag will be drawing on a career which encompasses everything from opera to cabaret and from improvisation to one woman shows. Taking a totally different format from our usual December cabaret presentation, expect a truly theatrical experience including the usual eclectic mix of warmth, humour and musical styles as Morag looks back and reflects on 2017 and forward into 2018. “A World Class Performer.” Performing Arts Magazine, New York. As the show on Sat 6th sold out so quickly, we have now scheduled an extra performance for Sunday 7th January.